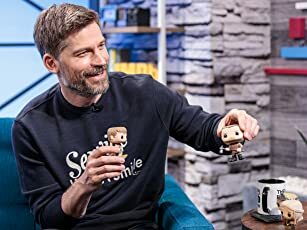 I just can't believe what i watched .. 50 minutes on the edge my seat >> The episode was really strong .. with a follow up not only on the second but a bit of the first season ... The story is getting more and more entangled, always a mystery to be solved and always looking for Leo to come up with solutions but in a moment here you feel like he really had it and just giving up but we know ..well it's Leo Da Vinci. The script is still organized and connected ,even though it's been three years but we still know who's who and WHAT is what :D ,, the story of two Popes is off to a new war in Rome ... Naples is no Naples any more :D Exciting right !! i really on the best cases couldn't expect the show would return like this. The characters and the cast are still engaging and drag you into watch and listen to every move and word... they kinda separate the story of Lucrezia Donati and her father the real pope from Da Vinci and his crew and fight against the Turks , but i don't think that would stay on this way .. they most probably will cross paths... and the new story of Carlo de' Medici with the Labyrinth. 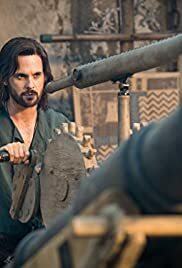 Finally i hope the show stay as strong as this and in the next episodes not having a doll slow scenes , yes it wouldn't ruin the show or make me stop watching but it would only gash a pound of the Legendary show of Leo Da Vinci Demons.